A lot happens in your child’s mouth from infancy to early adulthood. Not surprisingly, it’s the most active period for development of teeth, gums and jaw structure. Our primary goal as care providers is to keep that development on track. One of our main concerns, therefore, is to protect their teeth as much as possible from tooth decay. This includes their primary (“baby”) teeth: although your child will eventually lose them, a premature loss of a primary tooth to decay could cause the incoming permanent tooth to erupt out of proper position. And we of course want to protect permanent teeth from decay during these developmental years as well. That’s why we may recommend applying topical fluoride to your child’s teeth. A naturally occurring chemical, fluoride helps strengthen the mineral content of enamel. While fluoride can help prevent tooth decay all through life, it’s especially important to enamel during this growth period. Although your child may be receiving fluoride through toothpaste or drinking water, in that form it first passes through the digestive system into the bloodstream and then to the teeth. A topical application is more direct and allows greater absorption into the enamel. We’ll typically apply fluoride in a gel, foam or varnish form right after a professional cleaning. The fluoride is a much higher dose than what your child may encounter in toothpaste and although not dangerous it can cause temporary vomiting, headache or stomach pain if accidentally swallowed. That’s why we take extra precautions such as a mouth tray (similar to a mouth guard) to catch excess solution. The benefits, though, outweigh this risk of unpleasant side effects, especially for children six years or older. Several studies over the years with thousands of young patients have shown an average 28% reduction in decayed, missing or filled teeth in children who received a fluoride application. Topical fluoride, along with a comprehensive dental care program, can make a big difference in your child’s dental care. Not only is it possible for them to enjoy healthier teeth and gums now, but it could also help ensure their future dental health. The holidays are a season for giving. At this time of year, lots of us spend hours rushing around, looking for the perfect gifts for people we care about. But sometimes, amidst all the hustle and bustle, it doesn’t hurt to step back and think about yourself a little. If a better-looking smile has been on your list but you haven’t taken the first steps, the holiday season might be the right time to give yourself a gift. 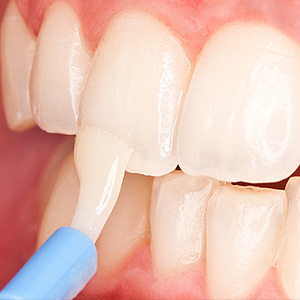 Many smile problems, like discolored, chipped or uneven teeth, can be resolved with veneers—wafer-thin porcelain shells that cover the front surfaces of teeth. Veneers are custom-made just for you: They can have a pearly luster to match your existing teeth, or be Hollywood-white for a dazzling red-carpet smile. In just a few visits to the dental office, you can have the smile you’ve always wanted—and a whole new look for the New Year. If damaged or missing teeth are what’s bothering you, you’ll be happy to know that there are lots of good options for replacing them. If the tooth’s roots are still in good shape, a crown or cap could be the answer. This is a sturdy replacement for the entire visible part of the tooth that not only looks great, but also functions well in your bite—and can last for years to come. 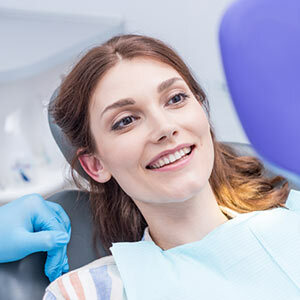 If teeth are missing or can’t be saved, we offer several options for replacement, including fixed (non-removable) bridgework and dental implants. A tried-and-true method for replacing one or more missing teeth, bridges are firmly supported by healthy teeth next to the gap in your smile. These teeth must be prepared to receive the bridge by having some of the tooth’s surface removed. Dental implants are today’s premier option for tooth replacement. In this high-tech system, a root-like titanium insert, placed directly into the bone beneath the gum, forms a solid anchorage for the visible part of the replacement tooth. Implants look and feel completely natural, and can last for many years. Plus, they don’t require any work to be done on nearby teeth. What kind of smile makeover is right for you? Just ask us! We will be happy to take a look at your smile and recommend a treatment plan. And in this season of generosity, there’s no better gift you can give yourself than a bright new smile.